Tropico 5 - Complete Collection includes all the DLC and expansions released to date, so it's your chance to grab the strategy title with all the goodies together. It supports SteamOS & Linux of course. 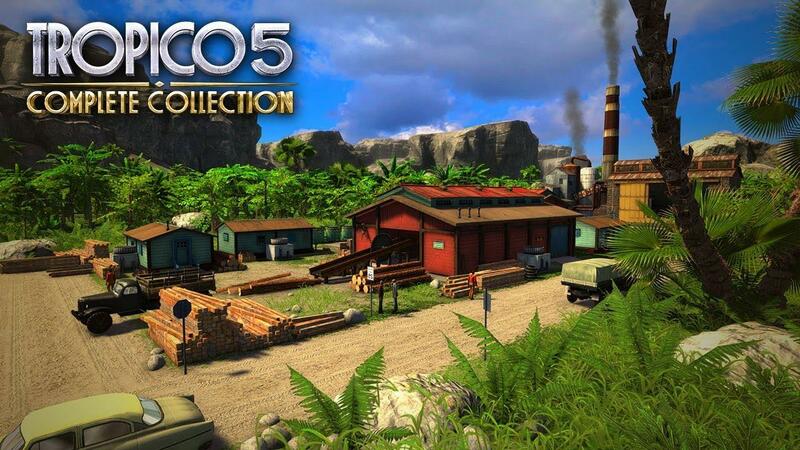 Tired of petty rebellions and the cries of austerity from his 'beloved' citizens, El Presidente has instructed Kalypso Media to release the PC version of Tropico 5 – Complete Collection, bringing the most comprehensive Tropico package yet to his adoring fans and prospective dictators everywhere. Packing in both full expansions ‘Espionage’ and ‘Waterborne’ along with all 10 DLC add-ons released to date, Tropico 5 - Complete Collection delivers overs 100 hours of gameplay, giving fans the best ever chance to test their mettle as the Caribbean’s latest mastermind dictator. More maps, more missions, more buildings, more beards. You really are spoilt for choice - the only question is, how will you rule your island paradise? I really haven't played enough of the game yet, how are you people finding it? Tropico 5 was first game in the series I played for quite long time. It was serviceable, and Linux port was nothing to complain about. If you can get behind quirky tongue in cheek humor regarding ups and downs of being dictator, it's enjoyable little experience. It was recently also released on gog but only the windows version. This trend needs to stop. devland It was recently also released on gog but only the windows version. This is usually down to GOG, not the game developer. GOG curate their store, so they say what goes on there more so than with Steam. Ah ye, have to play that one again. I've played it only a bit, and in the beginning game balance was very bad. Have to check if they have fixed a few of the quirks. They selling complete collection upgrade on GoG but not on Steam? I wanted to like this game but haven’t been able to even finish the tutorial... Too many menues and stuff to remember. It's a serviceable economic sim/city builder that lacks a bit in depth but makes up for it with personality and humor. Would be nice to have the ability to buy a DLC pack or something, I already own the base game and don't see a reason to have two copies of the base game installed :-). GOG would be better work on to improve their Linux support. I've been waiting patiently for this. Best recipe for games published by companies with dlc diarrhoea: wait for a complete collection and buy it on the nearest sale. It's something different when devs release a complete product like Talos Principle or Dying Light, and then release a DLC that adds new quality and story - I don't mind buying the game right away and then the dlcs separately. But when someone turns dlcs into a business model and release a host of them on day one - my answer is to ignore the game until they release a complete package.